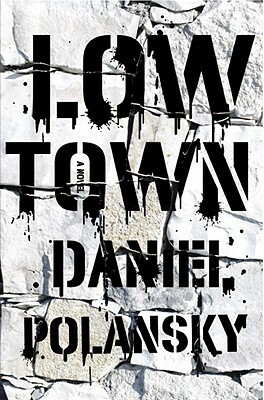 Daniel Polansky’s novel Low Town is a violent procedural with an embittered antihero at its center. Daniel Polansky’s novel Low Town is also a fantasy novel, with magicians, supernatural creatures, and metaphysical MacGuffins cropping up at significant moments. The Warden, narrator and protagonist here, is a disgraced ex-cop turned bar owner and informal fixer, the sort of wounded soul one tends to find at the center of noir-tinged mysteries. He is a veteran of trench warfare, the experience of which has left him scarred, patrolling one corner of a world of reduced technology and a hierarchical system of magic. Taken as a whole, Polansky’s setting suggests an unexpected yet surprisingly viable blend of the aesthetics of Walter Mosley, George R.R. Martin, and Deadwood. When Low Town works, it works well — Polansky neatly conveys the gritty underside of a fantasy world. Rigus, the city where the novel is set, comes equipped with a palpable sense of history, including a brutal plague a generation before the events described in the novel; there’s also a well-developed sense of how class works. And there are a few well-placed doses of horror in the Lovecraftian sense: unsettling beings that leave trails of blood and instances of madness in their wake. Polansky is judicious in their deployment, understanding that sometimes the threat of a presence can bear more weight than the presence itself. The blend of genres isn’t without its problems, however. For all of the willingness to jettison fantasy tropes, the beats of a mystery story can be easy to pick up. (From the moment in which the narrator meets the kid who’ll become his protege, you can pretty well guess where that particular subplot will go.) When Polansky applies the devices of one genre to show the underside of another, Low Town abounds with grim thrills; at other times, it reads like a more generic noir where the weapons and supporting cast look a bit different but serve familiar functions. Polansky has built a fantastic world here, though: traumatized and still reeling from a plague; fatigued from war and uncertain about what the future implies. He’s left himself space to do much more with Rigus and the world around it. One hopes that if there are return trips planned to this city and the world around it, Polansky will rely less on the devices of the past and start establishing new and strange ones of his own.